The biosphere is the the regions of the surface, atmosphere, and hydrosphere of the earth (or analogous parts of other planets) occupied by living organisms. 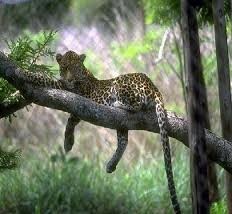 In this picture it shows a leopard laying on a tree branch in the woods. This is the leopard's habitat, or where it lives. A leopard in a living organism, therefore everything surrounding the leopard is part of the biosphere. The Atmosphere is the envelope of gases surrounding the earth or another planet. 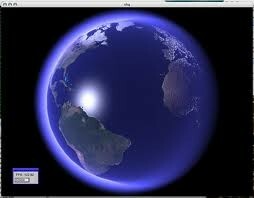 This is a picture of the atmosphere around the earth. The Geosphere is any of the almost spherical concentric regions of matter that make up the earth and its atmosphere, as the lithosphere and hydrosphere. 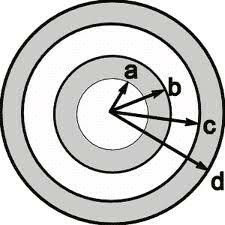 In this diagram it shows the many different spherical layers, that could be used to represent the atmosphere, lithosphere, and the hydrosphere. The hydrosphere all the waters on the earth's surface, such as lakes and seas, and sometimes including water over the earth's surface, such as clouds. 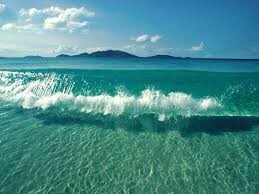 In the photo above it shows a picture of the sea, which is a form of wayer, making it part of the hydrosphere.